﻿Lisa ﻿is ﻿Artistic ﻿Director ﻿of ﻿Two ﻿Thirds ﻿Sky ﻿and ﻿a ﻿mum ﻿of ﻿three-year ﻿old ﻿Sophie ﻿Emma. ﻿She ﻿developed ﻿a ﻿career ﻿originally ﻿as ﻿a ﻿performer ﻿and ﻿teacher ﻿and ﻿has ﻿had ﻿the ﻿privilege ﻿of ﻿working ﻿with; ﻿BBC ﻿Education, ﻿Bock ﻿and ﻿Vincenzi, ﻿V-TOL, ﻿Yael ﻿Flexer, ﻿Essential ﻿Alston ﻿(RADC), ﻿Ersatz ﻿Dance, ﻿and ﻿Rosemary ﻿Lee. ﻿After ﻿gaining ﻿an ﻿MA ﻿Choreography ﻿in ﻿2005, ﻿Lisa ﻿founded ﻿Two ﻿Thirds ﻿Sky ﻿as ﻿a ﻿vehicle ﻿for ﻿collaborating ﻿with ﻿artists, ﻿and ﻿has ﻿received ﻿ACE ﻿funding ﻿and ﻿good ﻿critical ﻿reception. ﻿Projects ﻿have ﻿included; ﻿a ﻿collaboration ﻿with ﻿Kerry ﻿Nicholls, ﻿a ﻿dance ﻿and ﻿technology ﻿piece ﻿filmed ﻿in ﻿Russia ﻿for ﻿The ﻿Place ﻿Prize, ﻿a ﻿large ﻿scale ﻿cross-community ﻿promenade ﻿piece ﻿called ﻿Eventide ﻿(2015) ﻿and ﻿most ﻿recently ﻿a ﻿year-long ﻿project ﻿with ﻿Richard ﻿Alston ﻿Dance ﻿Company ﻿(2017). 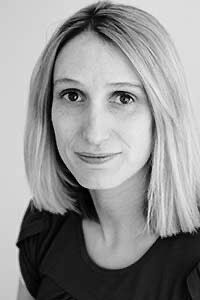 ﻿Lisa ﻿has ﻿lectured ﻿extensively ﻿throughout ﻿the ﻿UK ﻿and ﻿Europe ﻿including; ﻿De ﻿Montfort ﻿University, ﻿University ﻿of ﻿Leeds, ﻿Trinity ﻿Laban, ﻿University ﻿of ﻿Northampton, ﻿Middlesex ﻿University, ﻿and ﻿University ﻿of ﻿Bedfordshire. ﻿In ﻿2014, ﻿Lisa ﻿was ﻿invited ﻿to ﻿deliver ﻿a ﻿Master ﻿class ﻿at ﻿the ﻿Centre ﻿National ﻿de ﻿Danse ﻿Contemporaine ﻿for ﻿the ﻿‘World ﻿Dance ﻿Alliance’ ﻿summit ﻿in ﻿Angers. ﻿Whilst ﻿Senior ﻿Lecturer ﻿at ﻿UoB, ﻿Lisa ﻿lead ﻿BA ﻿Performing ﻿Arts ﻿2008-2011 ﻿and ﻿wrote ﻿their ﻿MA ﻿Community ﻿Dance. ﻿Throughout ﻿her ﻿career ﻿Laura ﻿has ﻿developed ﻿a ﻿dance ﻿practice ﻿spanning ﻿professional ﻿and ﻿community ﻿performance, ﻿choreography ﻿and ﻿teaching. 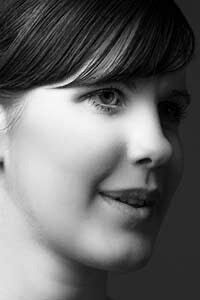 ﻿In ﻿2005 ﻿Laura ﻿became ﻿a ﻿founding ﻿member ﻿of ﻿Two ﻿Thirds ﻿Sky, ﻿performing ﻿nationally ﻿in ﻿all ﻿of ﻿the ﻿company&apos;s ﻿work ﻿to ﻿date, ﻿including; ﻿The ﻿Size ﻿of ﻿Thought ﻿(Kerry ﻿Nicholls, ﻿2005), ﻿Hold ﻿(2011) ﻿performed ﻿at ﻿the ﻿Edinburgh ﻿Fringe, ﻿and ﻿Eventide ﻿(2015). ﻿Her ﻿screen ﻿performances ﻿include ﻿the ﻿dance ﻿film ﻿The ﻿Water ﻿Rail ﻿(2014) ﻿and ﻿a ﻿feature ﻿in ﻿BBC ﻿series ﻿‘Tough ﻿Guy ﻿or ﻿Chicken’. ﻿Laura ﻿has ﻿worked ﻿with ﻿choreographers ﻿such ﻿as ﻿Shane ﻿Shambhu ﻿and ﻿on ﻿ACE ﻿funded ﻿dance ﻿projects ﻿with ﻿Henri ﻿Oguike ﻿and ﻿Arc ﻿Dance. ﻿Since ﻿2003 ﻿Laura ﻿has ﻿worked ﻿with ﻿the ﻿Richard ﻿Alston ﻿Dance ﻿Company, ﻿delivering ﻿workshops ﻿nationally ﻿and ﻿most ﻿recently ﻿co-choreographed ﻿What ﻿Happens ﻿in ﻿the ﻿Silence, ﻿with ﻿RADC ﻿dancer ﻿Ihsaan ﻿De ﻿Banya ﻿for ﻿the ﻿innovative ﻿Alston ﻿Inspired ﻿Project ﻿(The ﻿Royal ﻿& ﻿Derngate ﻿October ﻿2017). ﻿In ﻿2014 ﻿Dance ﻿United ﻿(Yorkshire) ﻿commissioned ﻿her ﻿work ﻿Behind ﻿the ﻿Wall ﻿as ﻿part ﻿of ﻿their ﻿repertoire. ﻿Laura ﻿is ﻿an ﻿established ﻿technique ﻿teacher, ﻿facilitator ﻿and ﻿choreographer ﻿making ﻿work ﻿and ﻿delivering ﻿training ﻿in ﻿Universities ﻿and ﻿vocational ﻿training ﻿institutions ﻿nationally. ﻿In ﻿addition ﻿to ﻿her ﻿extensive ﻿professional ﻿practice ﻿Laura ﻿holds ﻿a ﻿BA ﻿(Hons) ﻿and ﻿PGCE ﻿in ﻿Dance. ﻿Hannah ﻿Birch ﻿is ﻿a ﻿performer ﻿and ﻿dance ﻿artist ﻿whose ﻿work ﻿investigates ﻿notions ﻿of ﻿embodiment. ﻿This ﻿is ﻿through ﻿improvisatory ﻿processes ﻿and ﻿an ﻿understanding ﻿of ﻿how ﻿energy ﻿and ﻿flow ﻿initiates ﻿movement ﻿making. ﻿She ﻿also ﻿investigates ﻿movement ﻿from ﻿a ﻿theatrical/narrative ﻿perspective. 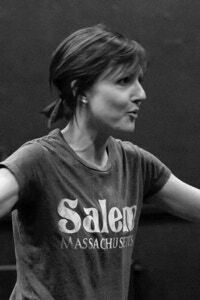 ﻿She ﻿graduated ﻿from ﻿Trinity ﻿Laban ﻿in ﻿2004 ﻿with ﻿BA ﻿(Hons) ﻿Dance ﻿Theatre ﻿and ﻿went ﻿on ﻿to ﻿receive ﻿an ﻿MA ﻿with ﻿distinction ﻿in ﻿Performance ﻿and ﻿Choreography ﻿from ﻿the ﻿University ﻿of ﻿Bedfordshire. ﻿She ﻿has ﻿danced ﻿professionally ﻿with ﻿Rosie ﻿Whitney ﻿Fish, ﻿and ﻿as ﻿a ﻿founder ﻿member ﻿of ﻿Two ﻿Thirds ﻿Sky ﻿she ﻿has ﻿performed ﻿in ﻿all ﻿the ﻿company&apos;s ﻿productions ﻿up ﻿to ﻿2011. ﻿Hannah ﻿has ﻿been ﻿instrumental ﻿in ﻿delivering ﻿outreach ﻿projects ﻿since ﻿2005 ﻿for ﻿TTS ﻿and ﻿in ﻿particular ﻿developing ﻿the ﻿company’s ﻿youth ﻿dance ﻿strand ﻿Dance2. ﻿Hannah’s ﻿other ﻿teaching ﻿has ﻿included ﻿with ﻿Youth ﻿Dance ﻿England ﻿(One ﻿Dance ﻿UK) ﻿Peculiar ﻿Productions, ﻿London ﻿Studio ﻿Centre, ﻿Stella ﻿Mann ﻿College, ﻿Bodyworks ﻿Performing ﻿Arts ﻿College ﻿and ﻿University ﻿of ﻿Bedfordshire. ﻿Her ﻿experience ﻿has ﻿included ﻿teaching ﻿technique ﻿at ﻿vocational ﻿level ﻿and ﻿delivering ﻿workshops ﻿for ﻿communities ﻿and ﻿organizations ﻿that ﻿promote ﻿dance ﻿and ﻿disability. ﻿Hannah ﻿in ﻿2014 ﻿was ﻿appointed ﻿a ﻿Catalyst ﻿Artist ﻿in ﻿collaboration ﻿with ﻿visual ﻿artist ﻿Rachel ﻿Cherry ﻿for ﻿Dance ﻿Digital. ﻿This ﻿research ﻿explores ﻿the ﻿integration ﻿of ﻿a ﻿participatory ﻿audience, ﻿with ﻿the ﻿use ﻿of ﻿still ﻿images. ﻿In ﻿addition ﻿Hannah ﻿is ﻿an ﻿independent ﻿producer ﻿and ﻿runs ﻿The ﻿Floating ﻿Tea ﻿Picker. 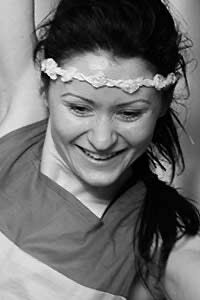 ﻿Kamila ﻿is ﻿a ﻿Polish ﻿dance ﻿artist ﻿and ﻿teacher ﻿based ﻿in ﻿the ﻿UK. ﻿Originally ﻿she ﻿was ﻿trained ﻿in ﻿Ballroom ﻿and ﻿Latin ﻿in ﻿one ﻿of ﻿the ﻿prestigious ﻿centres ﻿in ﻿Poland, ﻿Astra ﻿Szczecin, ﻿and ﻿competed ﻿in ﻿the ﻿National ﻿Championships ﻿in ﻿both ﻿2005 ﻿and ﻿2006. 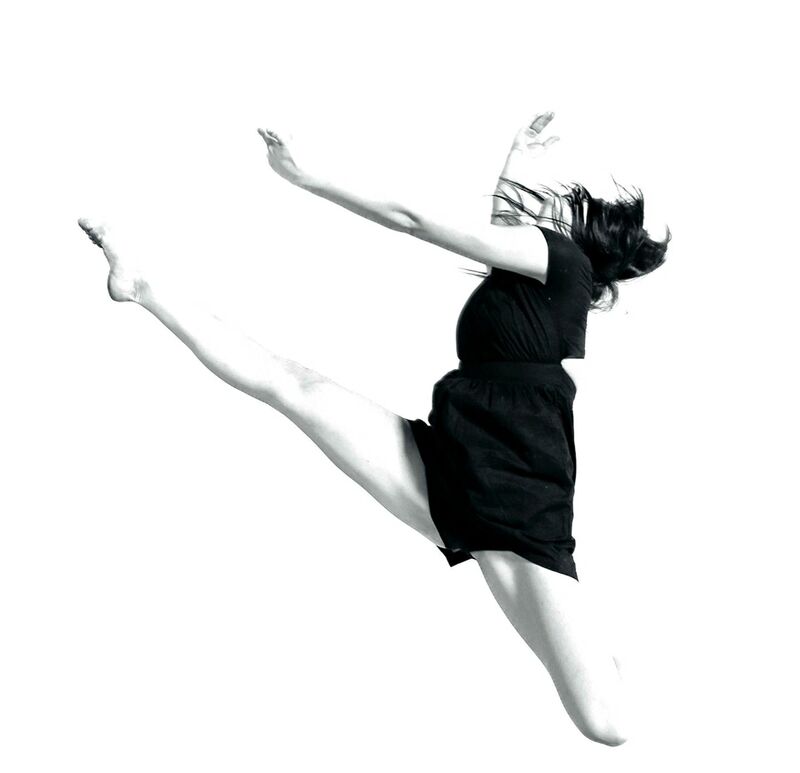 ﻿In ﻿2008 ﻿Kamila ﻿moved ﻿to ﻿the ﻿UK, ﻿where ﻿she ﻿undertook ﻿the ﻿BA ﻿(Hons) ﻿Dance ﻿at ﻿the ﻿University ﻿of ﻿Northampton ﻿developing ﻿her ﻿contemporary ﻿technique, ﻿understanding ﻿of ﻿dance ﻿theatre ﻿and ﻿contact ﻿improvisation. ﻿She ﻿was ﻿part ﻿of ﻿the ﻿undergraduate ﻿Playgrounds ﻿Dance ﻿Company ﻿in ﻿2012/13, ﻿and ﻿in ﻿2014 ﻿Kamila ﻿was ﻿fortunate ﻿enough ﻿to ﻿be ﻿a ﻿soloist ﻿in ﻿the ﻿groundbreaking ﻿Under ﻿the ﻿Vaulted ﻿Sky ﻿by ﻿Rosemary ﻿Lee. ﻿This ﻿was ﻿part ﻿of ﻿the ﻿MK ﻿International ﻿Festival. ﻿Kamila ﻿joined ﻿Two ﻿Thirds ﻿Sky ﻿in ﻿September ﻿2013, ﻿as ﻿a ﻿graduate ﻿dancer ﻿and ﻿was ﻿mentored ﻿within ﻿the ﻿company ﻿to ﻿develop ﻿her ﻿dance ﻿leadership ﻿with ﻿young ﻿people. ﻿She ﻿performed ﻿professionally ﻿with ﻿TTS ﻿in ﻿a ﻿female ﻿version ﻿of ﻿Decipher ﻿(2014) ﻿and ﻿in ﻿Eventide ﻿(2015). ﻿Effie ﻿is ﻿a ﻿graduate ﻿of ﻿Northern ﻿School ﻿of ﻿Contemporary ﻿Dance ﻿and ﻿Stella ﻿Mann ﻿College. ﻿Her ﻿first ﻿professional ﻿performance ﻿experience ﻿was ﻿with ﻿Shobana ﻿Jeyasingh ﻿Dance ﻿Company ﻿in ﻿Counterpoint ﻿(a ﻿site-specific ﻿piece ﻿in ﻿the ﻿fountains ﻿of ﻿Somerset ﻿House) ﻿which ﻿was ﻿later ﻿filmed ﻿for ﻿Sky3D. ﻿Other ﻿choreographers ﻿she ﻿has ﻿performed ﻿with ﻿include; ﻿Lea ﻿Anderson, ﻿Gary ﻿Clarke, ﻿Helen ﻿Parlor, ﻿Urja ﻿Thakore ﻿and ﻿Gary ﻿Lambert. ﻿She ﻿was ﻿a ﻿performer ﻿and ﻿leader ﻿with ﻿Rosemary ﻿Lee ﻿on ﻿Under ﻿the ﻿Vaulted ﻿Sky ﻿for ﻿the ﻿Milton ﻿Keynes ﻿International ﻿Festival ﻿in ﻿2014. ﻿Alongside ﻿this, ﻿Effie ﻿has ﻿been ﻿a ﻿company ﻿member ﻿of ﻿Ffin ﻿Dance ﻿since ﻿2012. ﻿Eventide ﻿was ﻿Effie&apos;s ﻿debut ﻿with ﻿Two ﻿Thirds ﻿Sky ﻿in ﻿2015. ﻿She ﻿is ﻿both ﻿a ﻿teacher ﻿for ﻿the ﻿company ﻿and ﻿performer ﻿in ﻿a ﻿new ﻿work, ﻿From ﻿the ﻿Window’s ﻿Gaze ﻿(2018) ﻿which ﻿is ﻿currently ﻿under ﻿development. ﻿Theresa ﻿studied ﻿dance ﻿in ﻿Germany ﻿before ﻿continuing ﻿with ﻿a ﻿BA ﻿(hons) ﻿Dance, ﻿at ﻿University ﻿of ﻿Northampton. 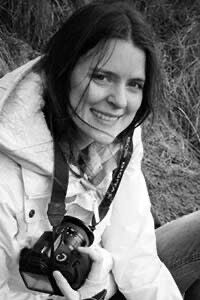 ﻿Here, ﻿she ﻿specialised ﻿in ﻿screen ﻿dance ﻿and ﻿photography ﻿and ﻿developed ﻿her ﻿independent ﻿research ﻿project ﻿after ﻿shadowing ﻿re-known ﻿dance ﻿photographer ﻿Rachel ﻿Cherry. 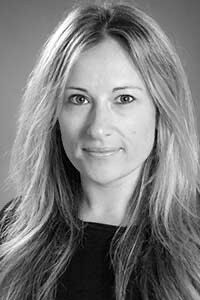 ﻿Now ﻿working ﻿as ﻿a ﻿professional ﻿practitioner ﻿for ﻿Braiswick ﻿Photographic ﻿- ﻿she ﻿combines ﻿commercial ﻿work ﻿with ﻿independent ﻿projects, ﻿creating ﻿imagery ﻿for ﻿various ﻿dance ﻿and ﻿theatre ﻿organizations; ﻿including ﻿Two ﻿Thirds ﻿Sky, ﻿The ﻿Core ﻿at ﻿Corby ﻿Cube ﻿and ﻿the ﻿dance ﻿faculty ﻿at ﻿the ﻿University ﻿of ﻿Northampton. 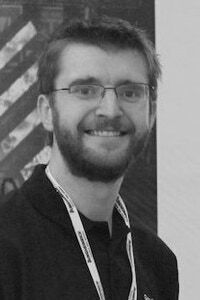 ﻿Gareth ﻿Risdale ﻿is ﻿a ﻿UK ﻿based ﻿designer ﻿and ﻿production ﻿manager ﻿who ﻿specialises ﻿in ﻿the ﻿conceit ﻿and ﻿technical ﻿realisation ﻿of ﻿multi-media ﻿live ﻿events ﻿and ﻿their ﻿mobilisation ﻿on ﻿tour. ﻿His ﻿early ﻿career ﻿was ﻿working ﻿in ﻿receiving ﻿theatre, ﻿before ﻿production ﻿managing ﻿a ﻿multi-million ﻿pound ﻿new ﻿build ﻿for ﻿DMU. ﻿His ﻿technical ﻿background ﻿underpins ﻿creative ﻿thinking; ﻿finding ﻿solutions ﻿for ﻿productions ﻿that ﻿are ﻿flexible ﻿enough ﻿to ﻿meet ﻿the ﻿challenges ﻿of ﻿theatre ﻿touring. ﻿He ﻿has ﻿been ﻿employed ﻿on ﻿a ﻿diverse ﻿range ﻿of ﻿projects ﻿and ﻿events, ﻿including ﻿Kate ﻿Bush’s ﻿"Before ﻿The ﻿Dawn", ﻿A$AP ﻿Rocky, ﻿the ﻿iTunes ﻿Festival, ﻿the ﻿Six ﻿Nations ﻿rugby ﻿tournament ﻿and ﻿the ﻿televised ﻿Manchester ﻿City ﻿FC ﻿championship ﻿celebration. ﻿Gareth ﻿has ﻿worked ﻿closely ﻿with ﻿RIP ﻿Productions ﻿Ltd ﻿on ﻿the ﻿creation ﻿of ﻿their ﻿touring ﻿portfolio; ﻿generating ﻿the ﻿theatrical ﻿and ﻿technological ﻿context ﻿for ﻿Champions ﻿of ﻿Magic, ﻿Jamie ﻿Raven, ﻿The ﻿Hollywood ﻿Special ﻿Effects ﻿Show, ﻿Jamie ﻿Raven, ﻿and ﻿Graeme ﻿of ﻿Thrones.